Creating Knitting Patterns Day 4: Design Elements: Lace, Cables, or what? Creating Knitting Patterns, Day 4: Design Elements: Lace, Cables, … Or Plain Stockinette? Welcome to Day 4 of the Complete Guide to Creating Knitting Patterns series! Today, we are going to talk about how to select stitch patterns for your new knitting pattern – the design elements. Remember Rule #1? Form follows function! This rule is to obey when it comes to the selection of the stitch pattern of your choice, too. Do you want to keep your knitters busy with lots of charts, or shall your knitting pattern be suitable for easy, mindless TV knitting? Are you creating garments for cold winter days or an airy summer scarf? Your stitch pattern should reflect the items’ purpose. Will the item get heavy wear? No intricate lace stitch patterns for those! Stitch dictionaries come in various shapes and prices. My all time favorites are volumes I-VI of Barbara Walker’s A Treasury of Knitting Patterns, followed by gems I collected over the years, like the famous Estonian stitch pattern collection Pitsilised Koekirjad by Leili Reimann, Patterns for Guernseys, Jerseys, and Arans by Gladys Thompson and Sata Kansanomaista Kuviokudinmallia by Eeva Haavisto, a comprehensive book about stitch patterns for mittens. Besides that, I own some lovely books on traditional Alpine Knitting from Austria and Germany, preventing the art & beauty of this old knitting tradition. When it comes to online search, I tend to visit Pinterest for inspiration first. I pin interesting patterns to my Board Stitch Patterns – have a look to get you started! Find at least three suitable stitch patterns to use in your new knitting pattern. Go and get some practice now! 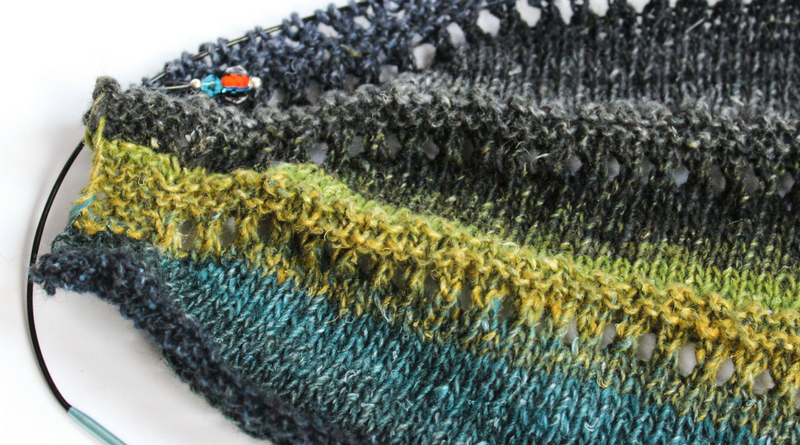 Creating knitting patterns in easier than you think. You can do it, too!